It’s no surprise that there are many ups and downs in life, so when you have a good moment you want to hold onto it. By celebrating those little moments you are able to slow down to appreciate it before it gets lost in the busy shuffle of your daily life. No matter how big or small the experience, Mochi helps brings happiness into those moments. 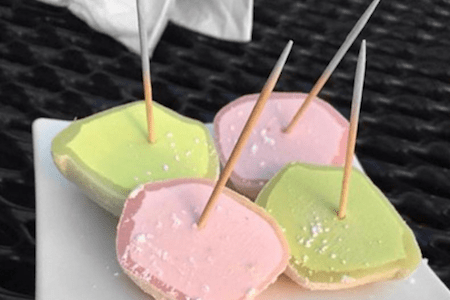 If you don’t want to let any special moment pass you by, take a look below to get ideas of several occasions that you can celebrate anytime with Mochi Ice Cream. Birthdays only come once a year, so they are a great occasion to celebrate. Whether you like having a big party, or prefer a small, laid-back get together with close friends or family, indulging in a sweet treat is a pivotal part of celebrating. Rather than having traditional ice cream with your cake, try a fun mix and match of Mochi Ice Cream flavors. Or if you’re not a fan of cake, Mochi Ice Cream is a great substitute. With a variety of flavors, it’s easy to find your favorite! If you are looking for classic birthday flavors try chocolate Mochi Ice Cream, vanilla Mochi Ice Cream, or cookies and cream Mochi Ice Cream. Do you have an anniversary coming up? Whether you’re having a small gathering, an intimate date, or a large party, having a delicious treat to commemorate the occasion is important. A job promotion is something to celebrate! Even if it’s just with your close friends or your family, take the moment to grab a box of your favorite Mochi Ice Cream and say cheers to the next step in your career. Holidays are a fun time to get together with friends and family. Because Mochi Ice Cream is convenient and easy to eat, it is a great dessert to serve at any event. They can be served whole since they are bite size and easy to carry around, or they can be cut in half like tapas, for a unique, intriguing appeal. Whether you are having a girl’s night in or a girl’s night out, Mochi Ice Cream is the treat that will get you in the mood for a fun time. We suggest plum wine Mochi Ice Cream for this special occasion. Celebrate your happy moments with the delicious pop of Mochi Ice Cream flavors.